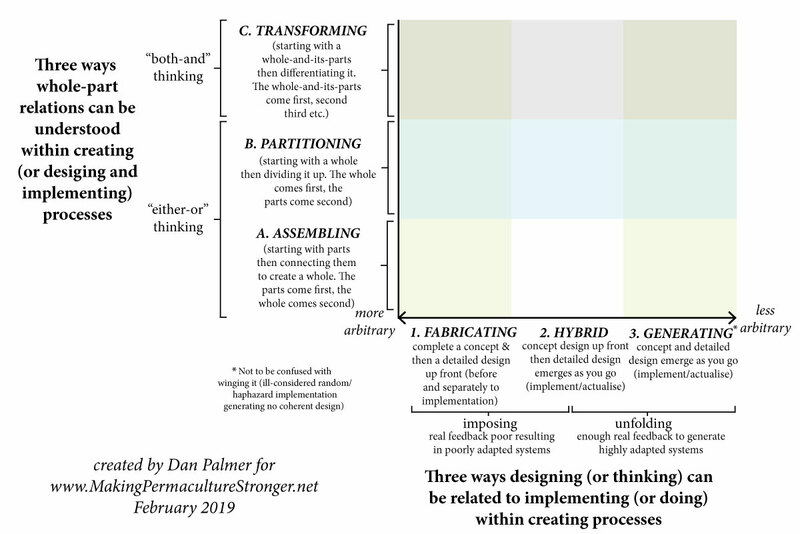 The below diagram summarises coming up to three years of publicly poking around into how permaculture design is usually defined, discussed, and practiced. I am aware you might find it a little abstract or confusing at first. But before you head back out to the garden to harvest those spuds, I would ask you a question. 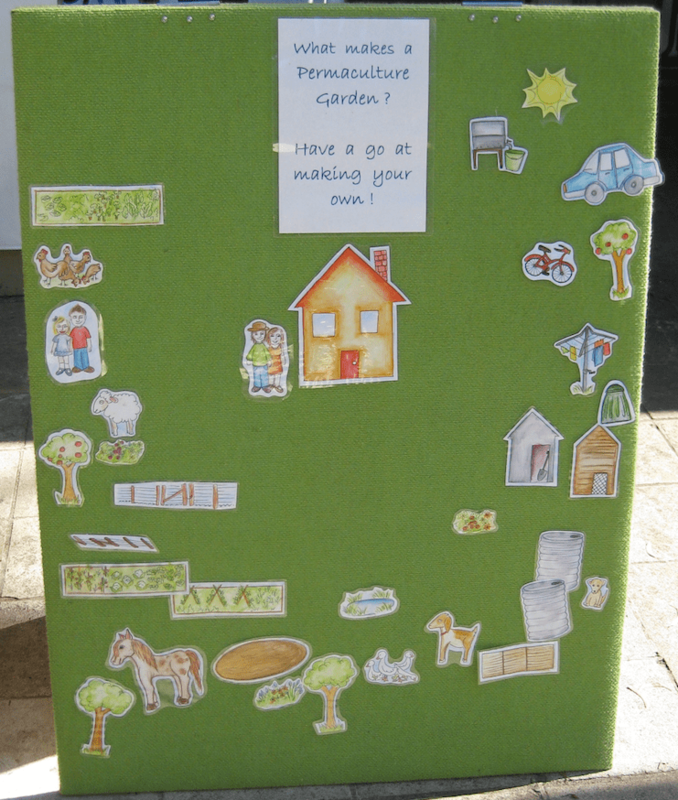 Do you really care about permaculture? If your answer is yes, I implore you to give this diagram a chance. 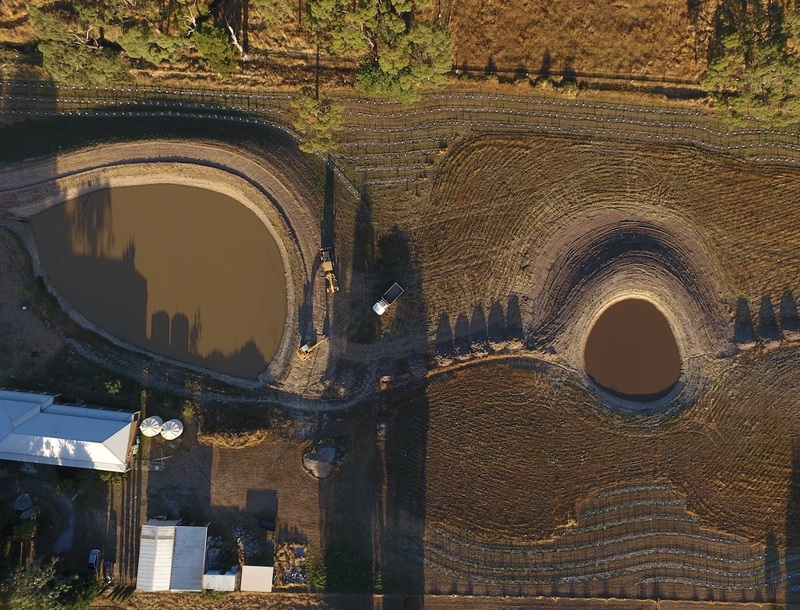 Call me crazy, but I believe it has exciting implications for the future of permaculture. Indeed, I sincerely believe that the ideas it is (imperfectly) attempting to convey have significant implications for the question of whether permaculture has a future. Okay. In the hope these grandiose phrasings have secured your attention for a few more paragraphs, let us proceed. I have already reviewed the y axis. The y axis contrasts three ways whole-part relations can be understood within creating (or designing and implementing) processes. I call these assembling, partitioning, and transforming. I have also reviewed the x axis. The x axis contrasts three ways designing (or thinking) can be related to implementing (or doing) inside creating processes. I call these fabricating, hybrid, and generating. After a quick overview, I’ll now take a look at how the two axes comes together to define nine possible spaces any design process can sit within (and move amongst). Though rudimentary, preliminary, incomplete, and partial, the diagram we’re here exploring contains nine possible ways of framing and going about designing and developing anything. These are like nine highly simplified conceptual frameworks or ways of framing key aspects of any creation (design and implementation) process. Let’s take each in turn, sharing a few examples to clarify the gist of each. We’ll start with the bottom row, which present three different kinds of what I call assembly. Assembly is when you start with predefined separate parts and construe your job as putting them together to form a whole. This would be like assembling a lego set from the plans in the box. You start with a bunch of parts to assemble, and your assembly is dictated by the pre-fabricated master plan that arrived with the box of parts. Hence the name, fabricated assembly. Fabricated assembly is the default way that modern building developments are designed as well as engineered structures like bridges. 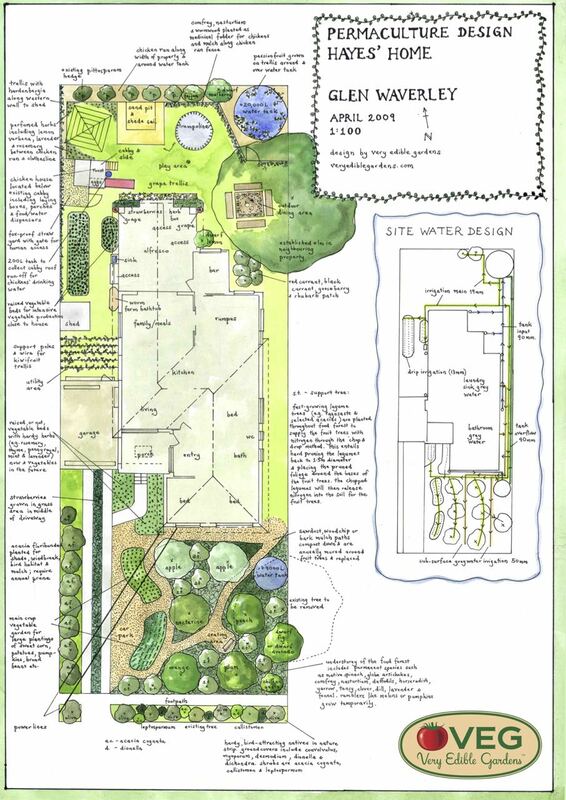 In a permaculture setting, fabricating assembly would be assembling the items on the client’s wish list (chicken house, pond, apple tree, compost bays etc) into a detailed master plan before implanting that plan (which is exactly what beginners are so often taught in permaculture design courses and introductory permaculture books). This would be like having your kid approach you with a rough hand-drawing of a planned construction which you then attempt to build, figuring out the details based on what pieces are available and the kids preferences as the thing takes shape (whether with lego or otherwise). 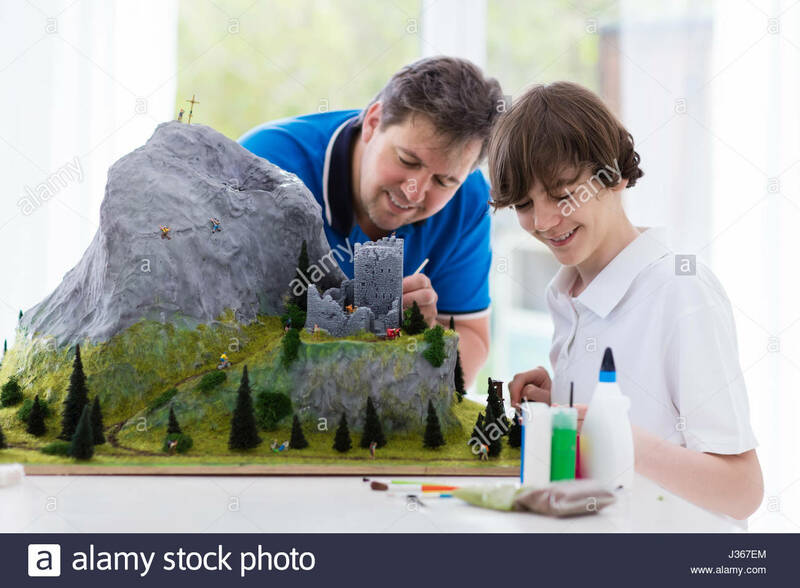 I can’t help but include this cheesy photo which you can imagine having started with a rough (concept-level) drawing assembling a mountain, some trees, castle ruins, etc. In a permaculture setting, this would be assembling a concept-level design diagram on paper before starting to implement the assembly on the ground, where the details would be figured out as you go along. This would be like having no diagram or design at all, but simply some kind of general intention about what you’d like to make, then looking through the pile, picking up a piece of lego, then starting to build something where both the general outline of the thing and the details emerge as you go along (which might include what the thing actually even ends up being, exactly). In a permaculture setting, this would be like getting to work on a site where you just start moving elements around, finding a connection that aligns with your general intention, then adding another element to connect in with the first two, and so on. The resulting assemblage emerges or is generating from within the creating process. This is not to say it is a haphazard or random process. As I understand it, generative assembly (sometimes in combination with hybrid assembly) is the approach used in agile software development, where lines of code are assembled and the software product emerges from the building rather than being planned out as a whole up front. Now let’s move up to the middle row, which present three different types of what I call partitioning. Partitioning is when you start with a whole then successively partition it up into smaller and smaller parts. The word partition literally means “to divide into parts.” In this way it is the opposite to assembly, where you start with parts and end up with a whole. 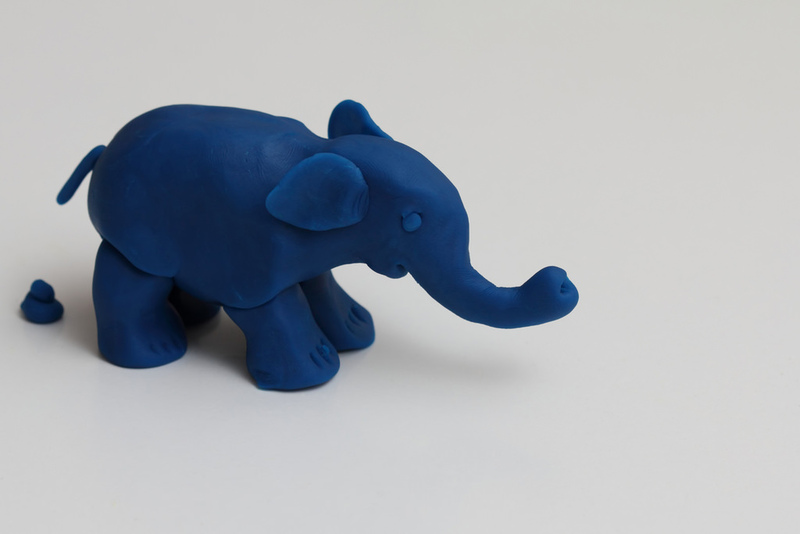 Or imagine fabricating partitioning as it might apply to working with the medium of play doh. 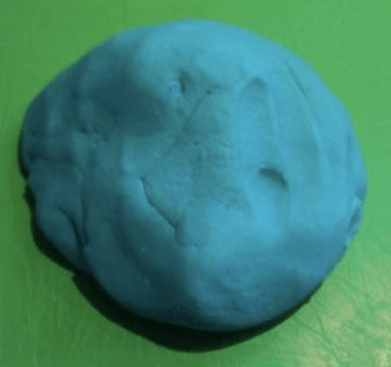 You might starting with a certain sized-blob of play doh and a detailed set of instructions or plans that you follow exactly, and that say things like “first divide the blob into two equal sized bits. Now make one half into a sphere and the other into a cube. Now take the sphere and indent a line around it dividing it into two hemispheres. Now push a 1cm hole in one side of the cube using a sharp pencil” etc. Your job is to partition up the play doh according to a pre-fabricated master plan. In a permaculture setting, fabricating partitioning would be like starting with a drawing of a whole property, then drawing a line to partition it into two sub-wholes. 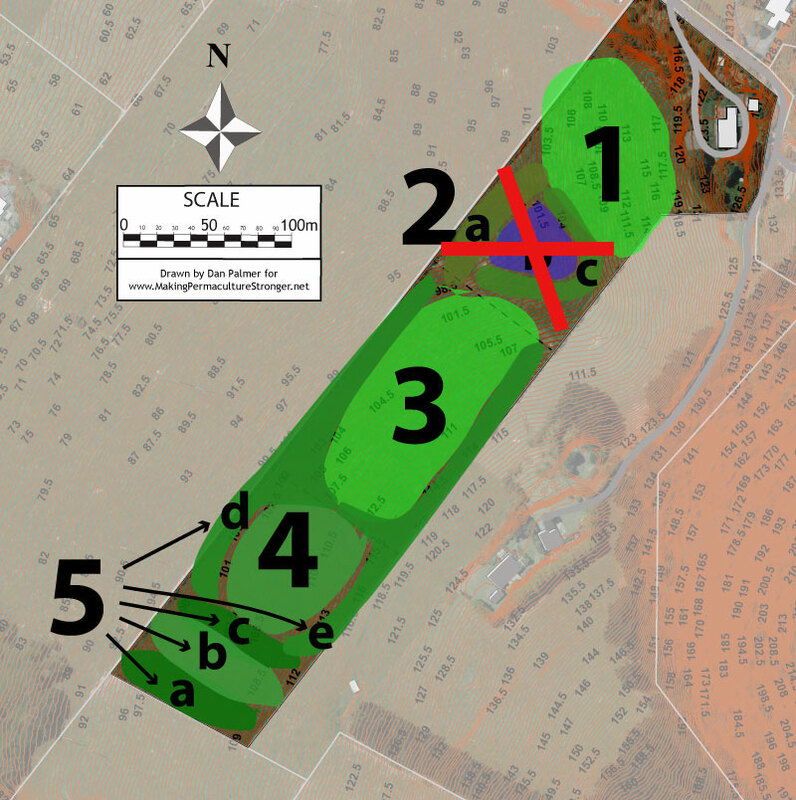 So for instance you might start by drawing a line to partition zone five from the other zones, or the private homestead area from the public visiting area, or some such. You then zoom into one of the freshly created areas and further partition that, and so on. What makes it fabricating is that you partition your way to a detailed design on paper before you start implementing. In the following example completed by my colleague Adam Grubb you see how the whole site was initially partitioned into a concept-level design before then being further partitioned into details. This is what fabricated partitioning looks and feels like. This would be like having your kid approach you with a blob of play doh and a rough hand-drawing of where they’d like to take it (maybe it is a rough drawing of an elephant, for example). Using the diagram as a guide, you start moulding the material, where the details of the elephant-like shape emerge as you go along. 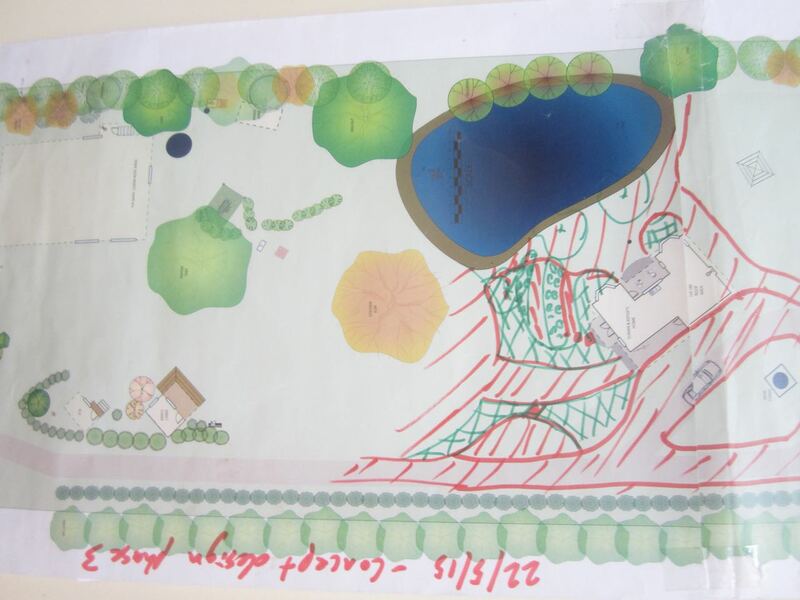 In permaculture setting, this would be like completing some rough, high-level partitioning of a site on paper then letting the details emerge as you implement. 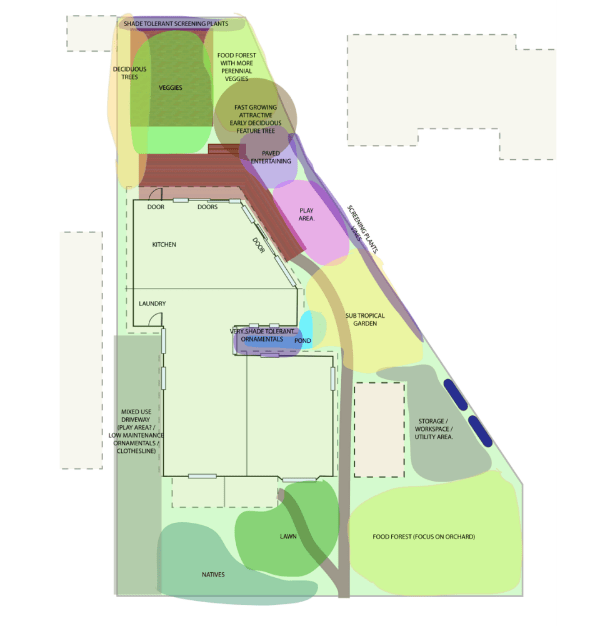 I have documented a couple of clear examples of hybrid partitioning permaculture design processes here and here. This would be like having no diagram or design at all, but simply some kind of general intention about what you’d like to make, then looking at your piece of paper or blob of play doh, making some change to it, looking at it again, making another change, and so on (the process would likely involve testing out then undoing certain changes too). Here both the general outline of the thing and the details emerge as you go along (which might include what the thing actually even ends up being, exactly). Now let’s move up to the top row, which present three different types of what I call transformation. Transformation is when you start with a whole that already has parts then iteratively modify and evolve it using many different types of actions including assembly and partitioning. In other words, transformation transcends and includes both assembly and partitioning. In a permaculture setting this would be like starting with a site, drawing up a detailed master plan, then setting about gradually transforming the place toward the master plan, where sometimes you’d partition what exists, sometimes you’d add new things, sometimes you’d delete existing things, and so on. As you may have already realised, this is what actually happens in practice when we try to implement any detailed permaculture design. 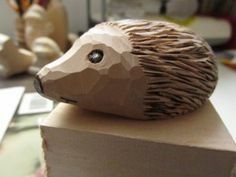 Coming back to our piece of wood, let us say you set out to make something, and rather than figuring out what this something is up front, you just start modifying it. You cut this bit off. You whittle this bit down. And so on. A beautiful little something emerges. 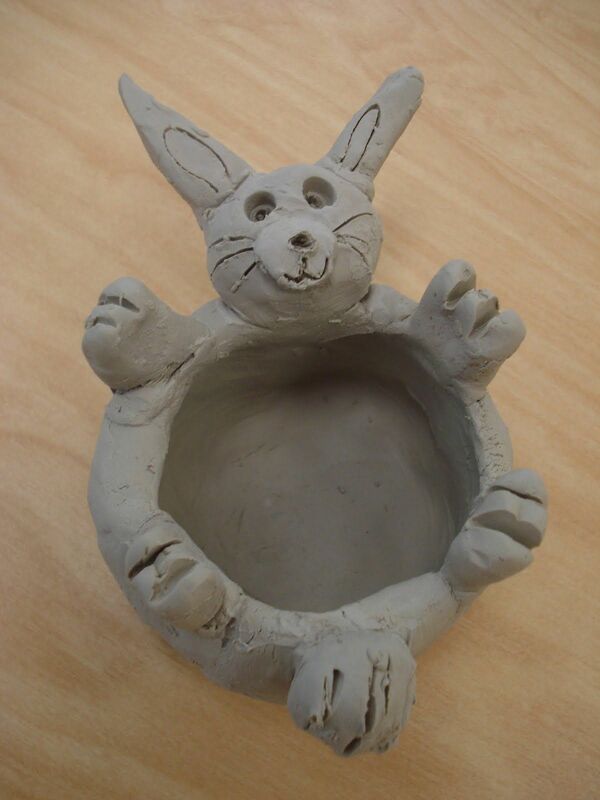 This bowl, for instance, could surely only have emerged from a process of generative transformation, where at every step of the process the next step was decided on then and there, based on what was right in the moment, and where any pre-existing plans either never existed or were thrown away. As I write this I vividly recall a very similar (if much rougher and amateur) example I once experienced. I was helping a friend cut down some large silver wattle (Acacia dealbata) trees next to his creek in NZ. 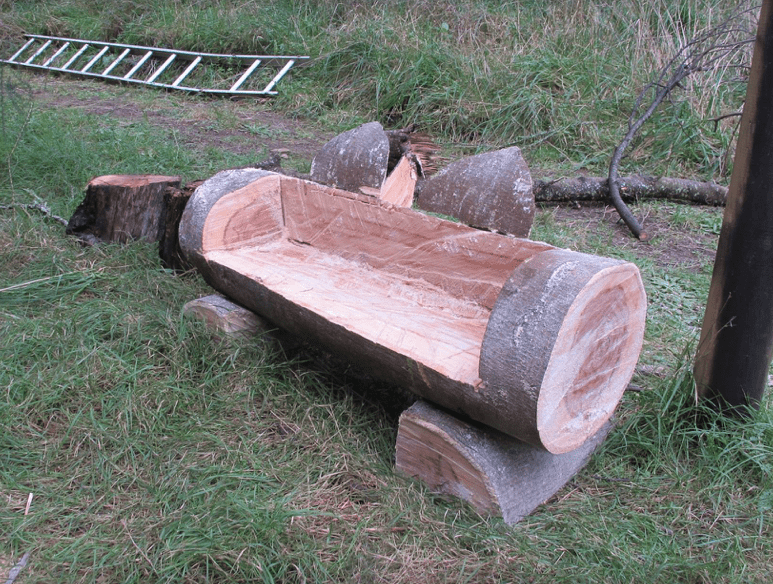 One of the larger trees felled, I was about to start lopping the log up into rounds of firewood. It then occurred to me it would be fun to craft, with the chainsaw, some sort of useful object – possibly a piece of outdoor furniture. I cut off a large length. I looked at it. The idea of a little seat arose. I cut out a seat shape. The result rolled back and forward too much to make a seat, so I fashioned some supports out of the offset from the seat bit, and used them to support the seat. I then noticed the lack of back support, so I used the final bits of left over wood to notch in and add two little backrests. The outcome was rough but beautiful and both utterly un-expected and perfect. My friend later said that as I was crafting the thing I had a huge smile and looked like a kid at play. Here I was not merely assembling. I was not merely partitioning. I was doing both and more. Nor was there any plan, conceptual or details. There was only my intention to have fun working the material and see what happened. 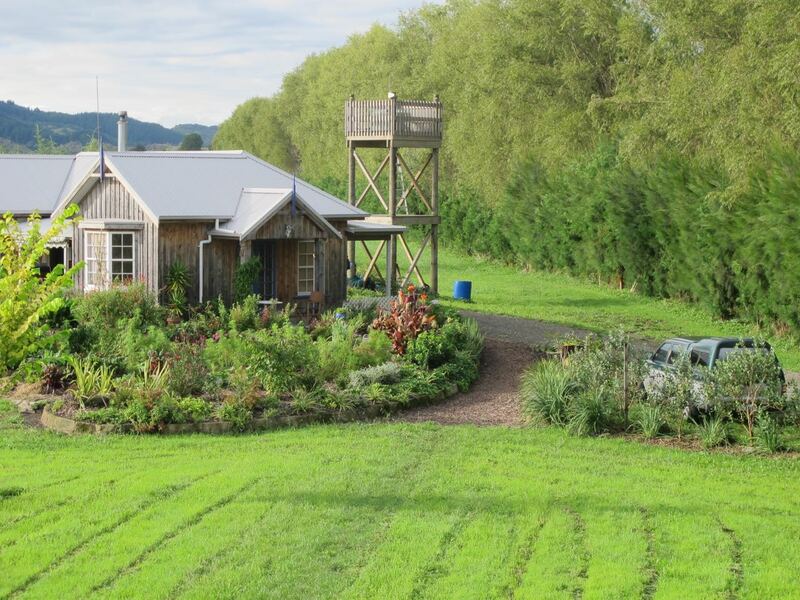 In a permaculture setting, generative transformation was at play when David Holmgren decided to start building a shed on top of the spot where materials had found themselves being stored (as opposed to his and Su Dennet’s house the design of which David fabricated off site). I have shared one clear example of generative transformation in a permaculture setting here. The below photo conveys something of the forms that were generated without any prior whole-site concept plan or detailed design in hand. Hopefully this post has shared how the focal diagram actually does correspond to different ways it is possible to go about creating (or designing and implementing) anything. In this next post, I’ll share some ways that the diagram can be used to diagnose the centre of gravity and trajectory of an individual designer, of an individual project, and of permaculture (or any culture, for that matter) as a whole. Hope to catch some of you then, and if you have any inclination please do make a comment below. “All design is either consciously or unconsciously an expression of our theories about the world — our culturally dominant worldview. The shift from our current industrial growth society to a life-sustaining society of diverse regenerative cultures is fundamentally a shift in metadesign from the ‘narrative of separation’ to the ‘narrative of interbeing’. 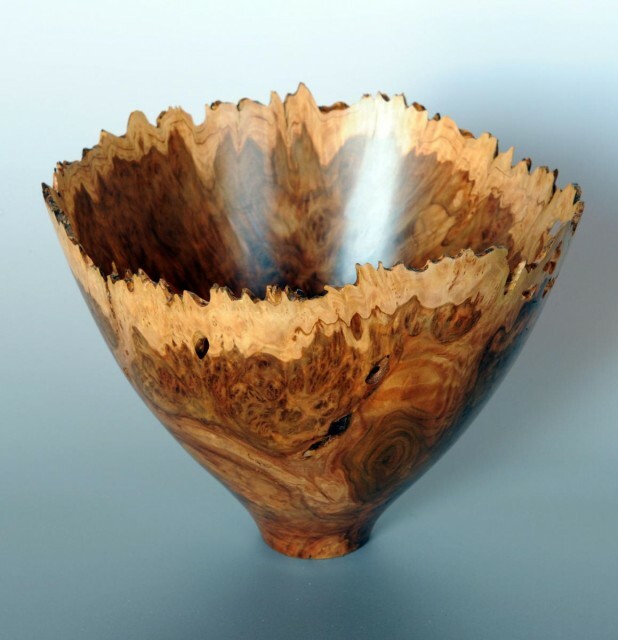 Our worldview shapes our designs and our designs reinforce the worldview they were created in. That is one of the reasons why we cannot solve today’s problems within the worldview that created these problems in the first place. Past design solutions in the form of the products, services and systems around us influence and reinforce culturally dominant perspectives, processes, structures and behaviours, mostly without questioning them. We are faced with an urgent need for systemic transformation in so many aspects of our lives. Whether you live in London, New York or a ‘slum’ settlement on the outskirts of one of the world’s rapidly growing mega-cities, people are calling for practical action and react with impatience if they perceive an approach to be ‘too theoretical’ rather than immediately practical and able to make a difference in the short term. I have experienced this bias against ‘theory’ and toward ‘practical action’ in my work with local, regional and national government officials, in consultancy work with individual businesses or business clusters of different industries, and in work with grassroots initiatives like ecovillage or transition town projects, even in many educational initiatives. In my opinion, the separation of theory and practice is another false dualism that we have to learn to overcome. By classifying initiatives as either theoretical or practical we are not paying attention to the fact that our view of the world is already deeply informed by theories about the world. In saying “we don’t have time to waste with theoretical considerations, let’s get practical and start implementing solutions”, what we are actually implying is that there is no need to question our perspective and explore alternative perspectives. We are jumping straight into action, offering answers to the questions and solutions to the problems at hand, without stepping back to make sure we are asking the right questions. We fail to explore whether the solutions we are aiming for are yet again solving one issue whilst causing harm and ugliness elsewhere. 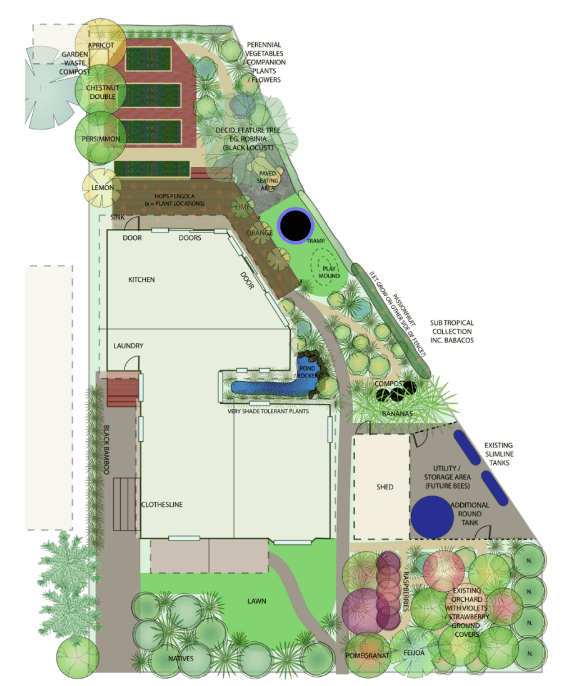 including the permaculture design course classic elements of a herb spiral, banana circle, and mandala garden! Brilliant work. Really insightful to explore these ideas and to see the inspiring responses. Thanks for helping to take design to a deeper level. Inquiry: Is there an actual extant example of a fabricating/assembling Permaculture design? Is a mostly fabricating/assembling approach to creating a site (or invisible structure) even possible? As someone who’s formally studied creative arts, the sculpture example is telling: You start with an idea, a subject, and a portrayal of the subject. Maybe you have ideas about some details. Perhaps you do a few design sketches on paper, or perhaps the rendering just stays in your mind. Prior to the first rendering, there isn’t going to be a 3D, comprehensive draft. It’s not possible to snap your fingers and make “Abraham Lincoln” appear out of stone according to the the conception. It’s not possible to splat the canvas with paint such that the Mona Lisa appears in a flash as intended. You start chipping away the extra bits. You simply must start in one place, perhaps the focal point, perhaps a feature that speaks to you… let’s say the eyes. Will they be kind? Wise? Will they be suspicious of assassination? As you chip away, you’ll still have to make determinations, how the light plays on the stone, how to correct a misplaced strike, etc. And we’ll have to step back, reflect, view from different perspectives. Yet in art school, you might often make a draft of a concept, as we do in PDCs, because it is a learning and assessment tool. Certainly, no one has ever mistaken the map for the territory? So, in a physical/temporal world, won’t all designs be hybrid? Then, is there a way to quantify relative positions along a spectrum, or in various boxes? Can we measure and test whether and how movement in one direction is more life-enhancing? My observation (and I have collected some formal data on the topic) is that most actual Permaculture site designs are currently Generating/Transforming. I’ve often felt that’s why they’re prone to type 1 errors and not meeting people’s expectations well. How can we distinguish between sites that were not designed, and sites that were supposedly designed using a pure Generating/Transforming process? This latest post and the diagram are wonderful. It allows me to see the growth of my own journey in the diagram, which frankly is a revelation after many years of trying to understand what was happening to me. I want to recount that a little, mostly for myself to further ingrain this diagram in my mind, but I’m posting it here for what it’s worth. I much agree that permaculture has existed in the state of fabricating. I have certainly met many permaculture students and maybe a pro designer or ten who practice in the A1 space. I’m happy to say I was never taught permaculture design as an A1 process though. While I’m very certain a lot of PDC’s are taught in the A1 space, I feel pretty sure that I was taught permaculture in the B1 space (not much better really). After a couple projects I realized how prescriptive the B1 space felt, and therefore how unartful it was as a process. I wanted more than that, so I worked to transform my practice into what looks like the C1 space. I existed there for a few years. It allowed me to build my foundation for working with clients, carrying projects out, and getting a lot of experience. Ultimately I realized how mechanized even the C1 space felt. I became a design-churning machine, still prescriptive, but more organized and a little more artful. Eventually, in addition to the grind of the work, what made me question what I was doing was seeing how only some or none of the pieces of my designs were being built once I stopped doing full installs along with the design. Then along came a client, a family actually, and we organically found a way to work together on a different level. We befriended each other, and actually came to really cherish each other. We transformed their yard primarily via the C2 space because of that closeness, which is to say the closeness of the relationship allowed my practice to grow to that space. We were able to develop the comfort, trust, and relaxedness to be able to play beyond traditional confines. Ultimately, I saw their lives change through their interaction with the landscape. I hadn’t actually witnessed the changes I made in the physical environment leading to profound changes in the inner worlds of my clients. That told me I was on to something. Though the clients moved on from that property, the space still exists and functions well 10 years later, but the funny thing is I don’t even care about the site because I recognized the design was about the people not the property. Since that point, I felt my design practice grow at a rapid, and honestly, bewildering pace. I feel like I’ve been meandering through the second and third hybrid and generative spaces ever since that project. I had to try stuff out. Sometimes the design work was just too cumbersome for my clients to engage with thoroughly, and some work became highly functional and cherished environments. As a side note, I think teaching with Joel Glanzberg for a few years contributed to this evolution of my process as well. Now, I feel like I can use the C1, C2, C3 and B2 and B3 spaces depending on what’s called for by the project. I feel the most artful in my process than I ever have because I’m not trying to do a specific thing or attain a certain level or result. I just want to do what’s appropriate to each situation without expectation. At this point, 15 years post-PDC, I’d say I primarily spend my professional design time in the C2 space, partly because that’s what the market can bear, or the most artfulness that the design profession (clients and design teams) can embrace at this point in time, in my experience that is. I tend to work on commercial projects, public spaces, and large-scale ag properties. It may be different for smaller residential or garden design. Last, I want to illustrate a current project that I don’t know where to place in the Nine Spaces. It feels very generative, and maybe has elements of C3. I feel like I get to dabble in the C3 space, primarily at the beginning of a project where I’m trying to design the right design process for the project. That feels like the case with this current project. These clients have hired me to guide them through a design process rather than complete a design for them. They called me about designing their farm, and after spending 4 hours on-site and sharing a meal with them (bread breaking is something I do a lot as part of the relationship building process) I realized it would be a disservice for me to design their land for them. These folks already have a lot of knowledge. They are the next generation of farmers from a family that were until recently the largest fruit growers in the US state of Illinois, and they will be applying permaculture to the family farm for the rest of their lives. I wanted to equip them with the skills they need to adaptively plan all along their journey. What we arrived at was giving them a customized, private PDC where their land is the design project. 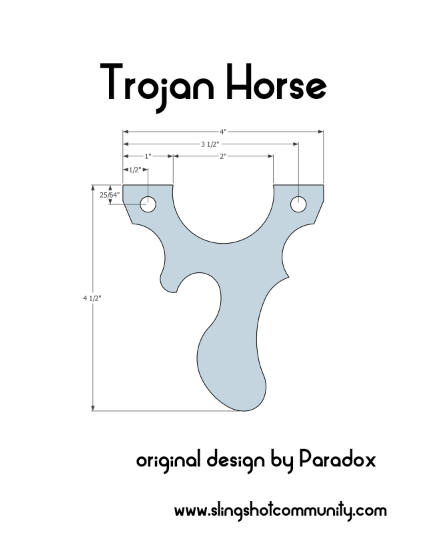 This gives us a lot of face time for conceptual understanding, and gives them an in-depth design practicum (generative, not fabricating) with my feedback and guidance. I’m curious how you might view this type of designing of the design process? Truly, I have to thank you for developing this. Sometimes I wonder whether I’m just playing around like a kid, but this gives me a more concrete way to interpret and articulate my journey, and gives me further confidence in where I’ve been and where I’ve come to. Thank you so much, Dan. The question most on my mind now is, can this be taught, or do individuals have to go through their own iterative paradigm change process? It probably depends. I can say I’ve had students on both ends of this spectrum. I’d love to stay in touch as this develops. We’ve been doing very similar work internally at the Permaculture Institute for the last two years and are preparing to release some big insights and structural changes because of it. I can say we very much agree that permaculture is at risk of becoming irrelevant, and we hope to shed some light on its potential future, which is up to all of us to actualize.